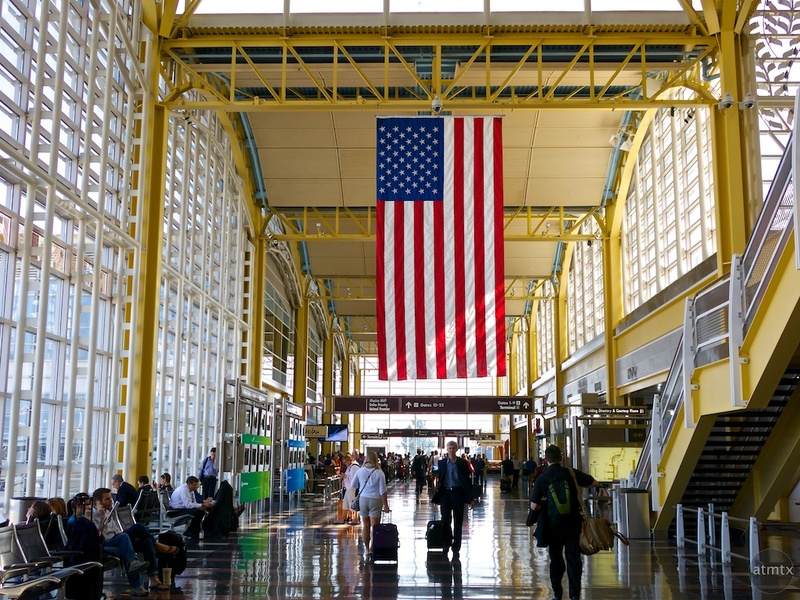 I shot this last week at the Reagan Washington National Airport (DCA), as I headed back to Austin from my conference. The Canon G15 did it’s job, as I hope it would, whenever I carry this sucker around. At ISO 80, it can really create very solid images, especially in good light. The G15 is my daily carry around camera and I bought it and the Olympus E-PM2 with me. The Olympus was dedicated for my urban landscape HDRs and I only had the Panasonic 14mm f2.5 + the wide-angle adapter. I regret not brining a second low light lens like the Panasonic 20mm f1.7. The G15 does great in good light but certainly not the best for low light, though in a pinch I push it to ISO 800. The G15 body is similarly sized as my Olympus E-PM2 but the big difference is it has a collapsing 28 – 140mm lens. That’s the benefit of a point and shoot even over a small micro 4/3 camera. It turned out that I shot this scene at a 40mm equivalent. I find that I really don’t shoot telephoto much, I guess I do see in wide-angle. I do use the macro, however, which the Olympus with the 14mm doesn’t do well. As a matter of fact, we do “see in wide angle”. 50mm (full frame or equivalent) is deemed “normal”. Well, it is not. We see in binocular vision. Try this: close one eye and make a mental note of the angle of view. Next: open the eye that was closed and make a mental not of the angle of view. People who have studied such things say that “normal” binocular vision, which does vary somewhat from individual to individual, is close to 35º, perhaps 40º for most people. So there…you do see in wide angle. Perhaps Kirk will answer directly, but, until then, my supposition is that he has trained himself to visualize an image that way or simply has become accustomed to it because the 85mm – 135mm focal lengths are very flattering in portraiture and allow for the choice of a shallower depth of field to throw a background out of focus. It would be interesting to see some macro shots with the G15. I’ve remained astonished for a decade over the quality of closeups produced by my ancient 4MP Canon G3. In normal use, wide angle shots in high contrast settings produced horrible chromatic aberration. But placed in macro mode the lens and sensor seemed to be in perfect sync. The rendering of closeups — even high contrast — were perfectly clean of CA. Yeah, the point and shoots do nicely in macro mode. I particularly like the TG-2 for macro. The use of the 35mm as “normal” is wrong! It is a wide angle.I care not about how one “thinks” they see. It’s about the angle of view. The 35mm will distort any object closer to the lens.. It may be small, this distortion, but of significance! I once shot a person who represented a group of squatters. I was impressed with the man and his ideals. He stood about 7~8 feet from me. His hands making a plea in front. The hands were larger, than if i had used a 50mm. Result. He looked menacingly at the lens.. I see these distortions all the time. has resulted in lazy photographers. The 28mm because it is much wider, leads to more graphic and geometric images. The use of 35mm,50mm and 90mm on the Leica-M2 and M3 all had a distinct ratio. are to me, a waste of time. The more one studies HCB and other early members of Magnum, more one sees how little is needed for good photos. Sadly today Magnum members often have a very political view and a personal life, that the founders would not have allowed. Oh! i like the shot of “Old Glory”. Yup. jason.